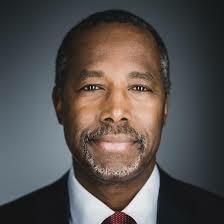 CARSON: Maybe I am not objective when it comes to Planned Parenthood, but, you know, I know who Margaret Sanger is, and I know that she believed in eugenics, and one of the reasons you find most of their clinics in black neighborhoods is so that you can find a way to control that population. I think people should go back and read about Margaret Sanger who founded this place — a woman Hillary Clinton by the way says that she admires. Look and see what many people in Nazi Germany said about her. CAVUTO: That she was for targeting certain races? CARSON: That she was a great person. Carson isn’t the first black man to argue that the true aim of Sanger’s organization was to control the black population.